Critical Rescue International was founded in October 2001 as the nation's first advance paramedic (emergency medical services) company. Over the years CRI has developed a strong international reputation in the areas of medical assistance, benefits administration, industrial health services and first aid training. CRI operates out of 3 offices, one in Ikeja (Oba Akran), one in VGC (24hrs), and one in Port Harcourt (24hrs). CRI are agents to BUPA, UK and AXA, France for expatriate cover, international medical insurance, and travel health insurance. 2. CRI ACADEMY - They provide first aid training for the work place. CRI operates a walk in and register system so anyone can visit and get attended to immediately. Their medical emergency outfit covers health insurance packages, corporate organisations, private companies, and friends and family packages. 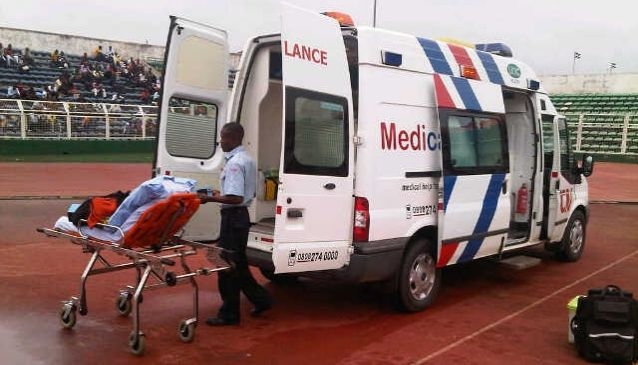 CRI have partnered up with notable public brands like Gulder in the Gulder Ultimate Search, Knorr, Maltina Dance Hall, Nokia, Blackberry and other brands in which they provide medical back up with their mobile and stand-by fleet of ambulances. The atmosphere at CRI is what you will expect from a good medical center. It is friendly, staff smiling and attending to you, welcoming; It is also comforting to know that CRI adopted a 'care delayed is care denied' philosophy, this depicts a compassionate service to patients desperately in need of medical attention.